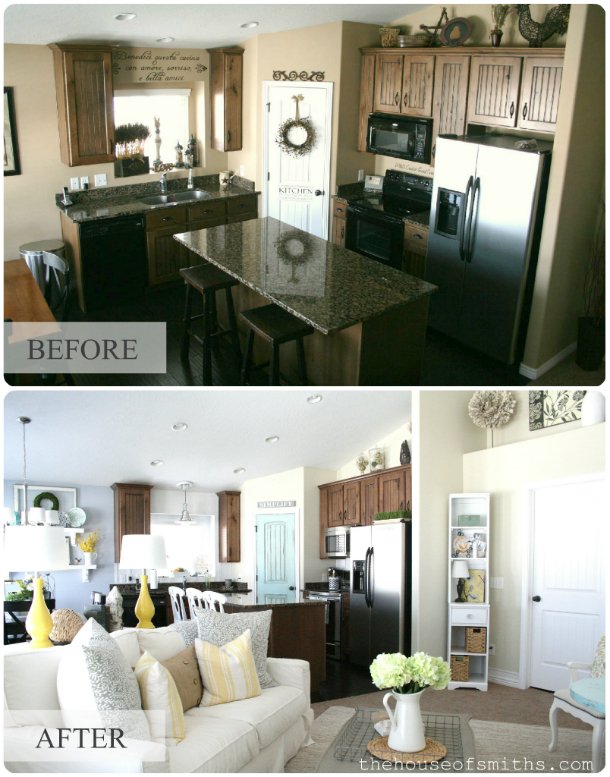 "Where should I start if I'm trying to change the look of my entire house!?" yes, we have white cabinets now, but I don't have a pic of them yet. ack! need to do that! First, let me just say... I am NOT an interior designer; just a girl who loves to decorate and got lucky when I married a guy who actually has a passion for transforming spaces as well! Now, as true as this is, we've also redone our fair share of spaces at this point and embarked upon more than a few "scary/risky" projects... and just like anything that you practice at over and over again, you get better the more you work at it! 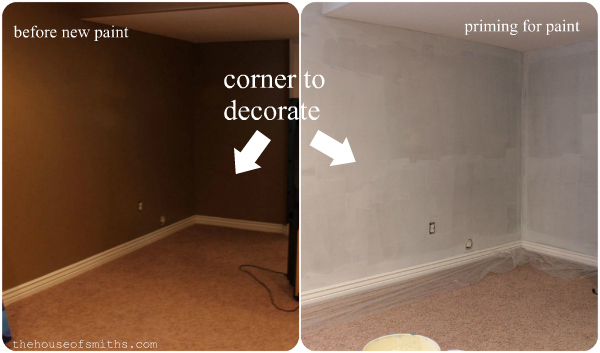 I'm not going to lie and say that we're "pro's" by any stretch of the imagination, but the fear and doubt about what paint color to choose or even wall to knock down (hee, hee) has subsided quite a bit. 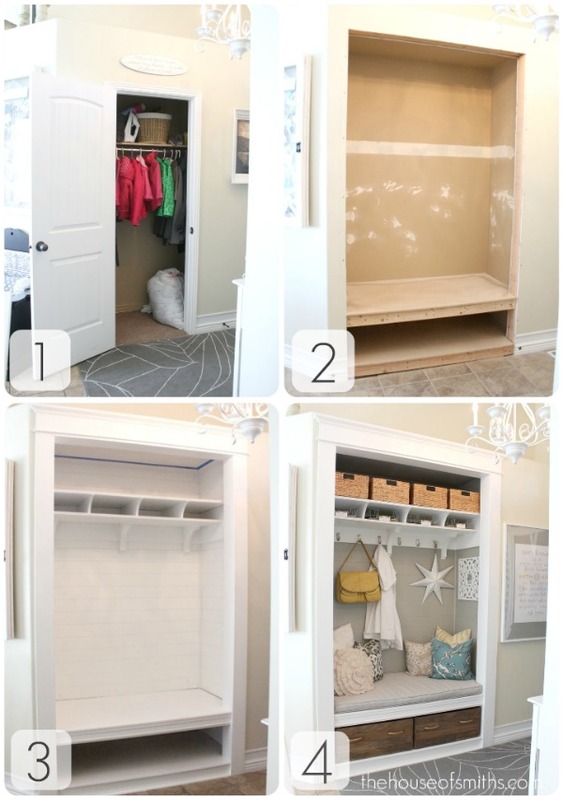 For this reason, I thought it would be helpful for us to share a few quick steps that we usually go through, when approaching a new space. Hopefully these tips will be helpful for some of you! Did you hear that? I said SPACE. Not house, not even room... just space. For one person that could be as simple as a shelf, a table top, a corner or yes... if you're ready, an entire room. Really, just whatever YOU feel comfortable with taking on and what your budget, time (and patience) will allow. 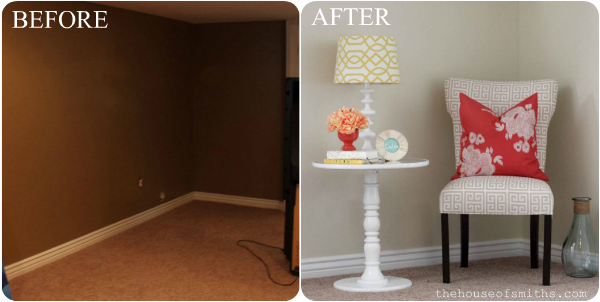 Don't let the fun part of restyling your home become something you dread! START SMALL AND TAKE YOUR TIME. Whatever it takes for you to get moving on your "vision"... DO IT! 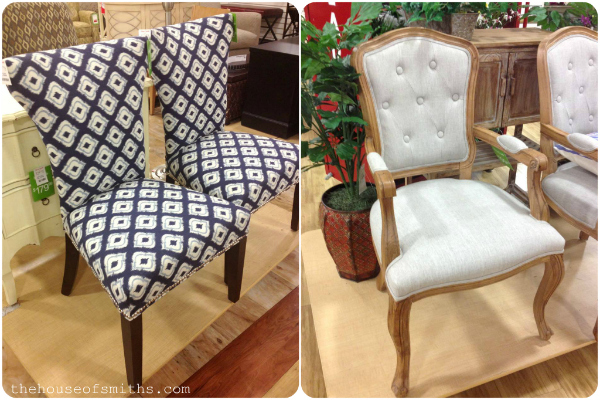 You may not even know what you want, until you see something you like; be it a pattern, color scheme or set up. It's totally okay to piggyback off of someone else's ideas. Just try to switch things up enough, during the processes, that you feel like you're creating your OWN look. 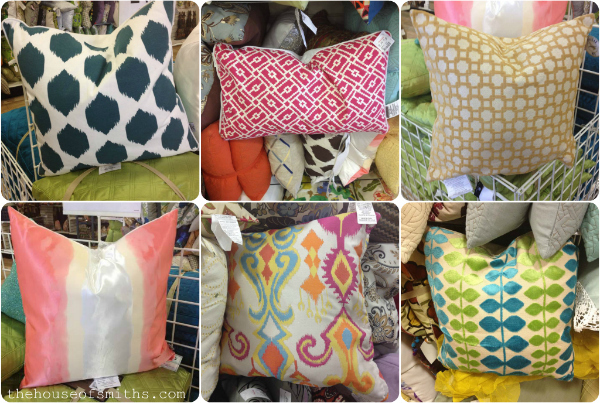 Different pillows, chair style, finishes, etc... You'll feel a lot more accomplished and proud of your work, if you throw-in some individuality too! Now that you've got your space picked out and a few ideas on what types of colors and/or patterns you want... it's time to create a plan. Whether it's roughly sketching out your look or writing down in words exactly what you're wanting to do in your space, visual aids and lists ALWAYS help a person to stay focused. * Placement - Where will things go? How large/big can each item be in order to fit everything in that you want? 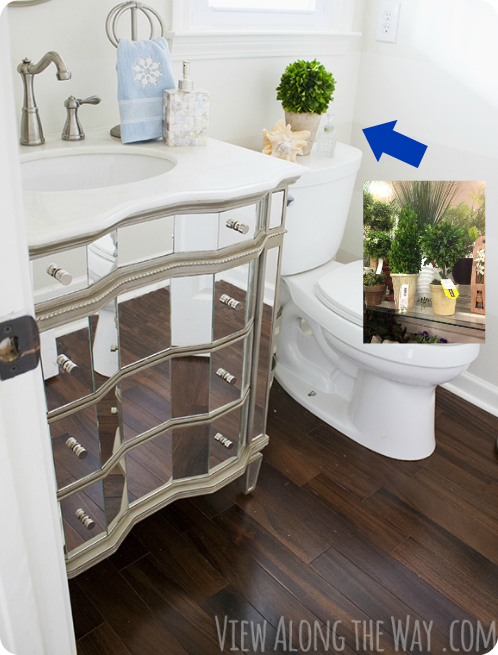 Measure your space and jot those numbers down so that you have them when you're shopping. You'd be surprised how many people buy things they "love" without knowing if they can actually FIT them into their given spaces or not. Measuring will save you from disappointment and multiple trips to return things. TIP: Get one of those nifty key chain measuring tapes for your keys, so it's always handy. * Pattern/color mixing and matching - Do you have at least 2-4 different colors represented in your idea? 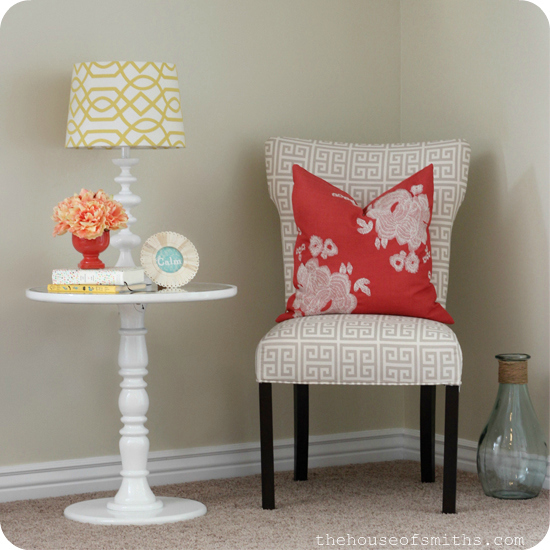 Is there enough difference in your patterns to make the space interesting, but not overwhelming? Are your colors tying into and reflecting each other throughout your space to create a cohesive look? This can mean at a store, online or even in your own house! Purchase, reuse, re-purpose... whatever it takes to find the elements you need. "Where do you buy all of your cute home decor stuff?" 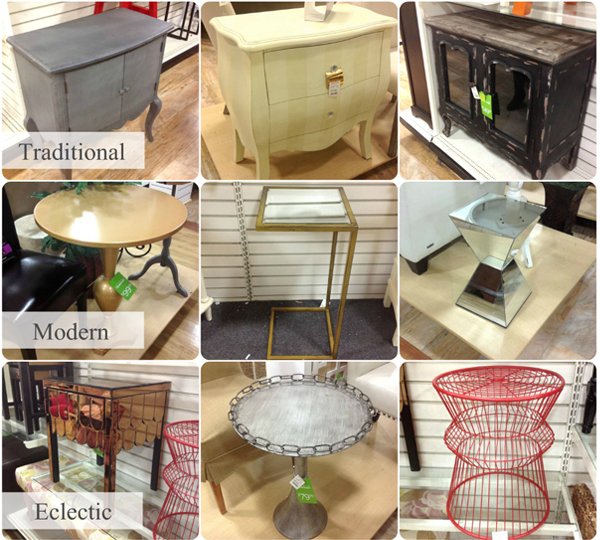 Thrift stores, high-end design shops, Target, Walmart, consignment shops... the list goes on. There is no right or wrong place and DON'T rule anywhere out either! Just because you THINK you can't afford items in a specific store you love, still pop in from time to time. There may be a sale going on or significant markdowns on items that may work! You'd also be shocked at how low home products can be discounted, before they're taken off the floor. To give you a quick example of how I shop, I stopped into my local HomeGoods store the other day. I didn't NEED anything, but never pass up a chance to brows around when I'm nearby. The upside to a place like HomeGoods is that there is usually a LOT to pick from, decor and furniture is always on trend and the prices are usually half (if not more) than what you'd find somewhere else. The downside, is that sometimes the items can be slightly damaged and once something is gone... it's gone, so you have to move quickly. No time to "think about it." All of these items below are things that I thought were AWESOME and would happily put in my own home. Like I mentioned before, there is a BIG array of styles represented here. From cottage farmhouse to modern, sleek city dwelling; but that's whats so great! 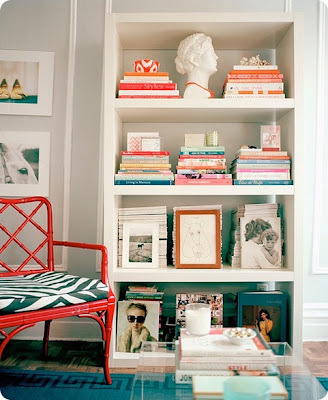 Mixing and matching different elements in your design that you like, is what makes your space... YOU! 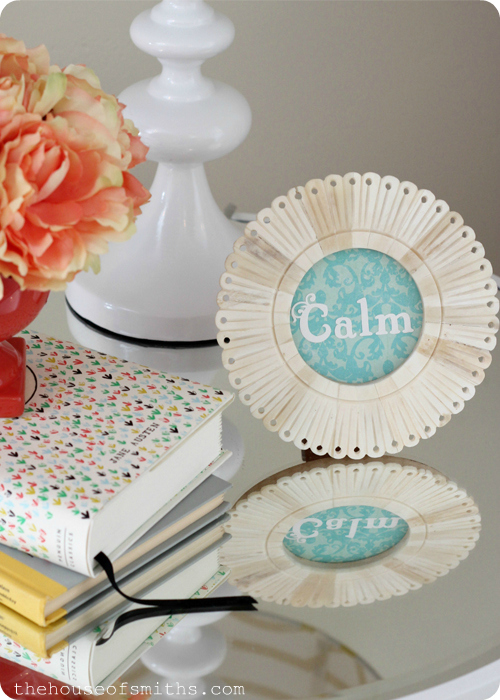 Small home decor accessories are like your hair, makeup and jewelry. Whatever you pick to display should be a direct reflection on what speaks to your "inner decorator". Funky, fun and colorful? Clean, streamline and reserved? Pick things that make you smile! This is THE BEST part about creating a customized, beautiful space in your home. Don't stress out about finding the PERFECT thing, either. Usually decorative items are what you switch out from time to time... so have fun with it and take some risks in this department. Also, don't be afraid to splurge on something, if you know you can use it in different areas of your home when you want to change things up down the road. Faux topiaries or quality greenery can be a bit more expensive than other decorative goods, but I always know I can use them in LOTS of different places. From the bathroom to the living room. Greenery, florals or any natural element always grounds a space and gives it some extra warmth. Glass containers and apothecary jars are a dime a dozen and can be used about a BILLION different ways. Pick a few alternating sizes up on your next trip out and fill them with different things to add punch and pizzazz to your space on the cheap! Decorative dishes, bowls and platters are also another great way to bring in color. 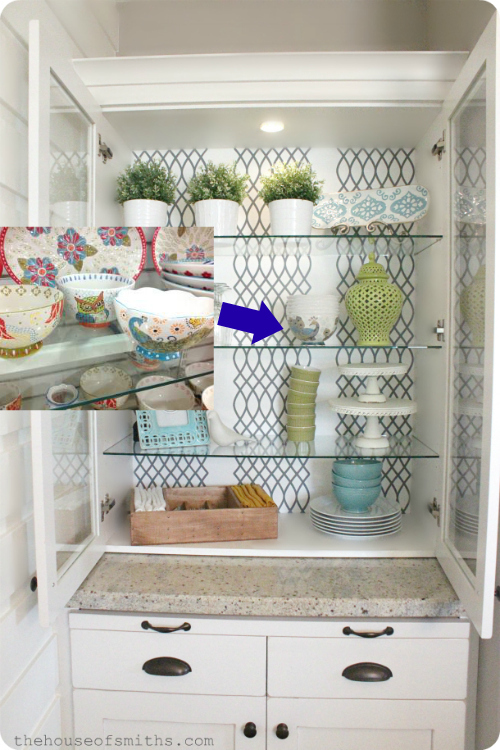 Find a design you like, buy a plate and prop it up for added pattern and texture. 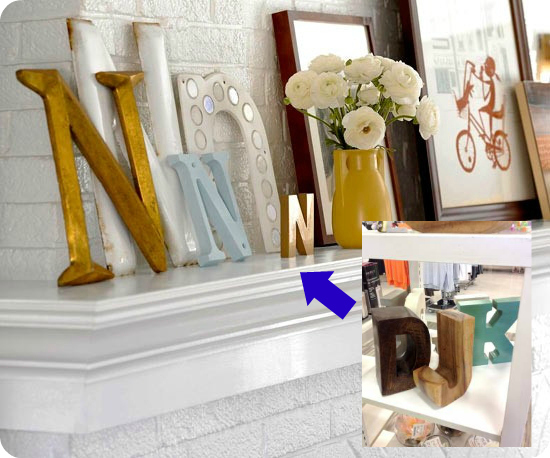 These chunky letters I found at HomeGoods are PERFECT for personalizing a space. They are great alone or paired up with more of their kind. You can also place them on a stack of books if you're needing more height in your overall look as well. Once you've got the majority of your shopping done, it's time to bring it all together. PLEASE KEEP IN MIND: You will more than likely have to work and RE-work this step a few times to get the look that you're going for. Typically, everything won't come together exactly how you've planned, and that's okay! It's all about trial and error. Just keep moving things around or adding and taking away until you've got it! Far from it (in my opinion) but it's coming together, and my overall look that I started out with in my mind, is just about there. 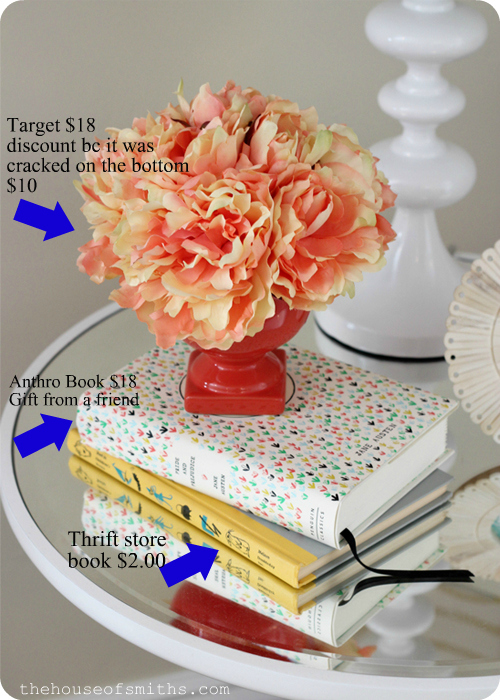 I pulled the chair and lamp from somewhere else in my house, the pillow, mirrored table, frame and blue glass vase are from HomeGoods, the flowers are from Target and the books are from a thrift store and a friend. Honestly?...what would I do differently or what may change over time? * I'd love a big ol' comfy chair finished in a funky colorful fabric with a small ottoman, instead of the side chair I have now... but I can't find a pattern I like OR really afford to get anything made right now. * I need a great picture of one of my kiddos to put in my little round frame... but haven't found one that fits that size yet. All that being said... guess what? This little sad, dark, unused corner now looks a WHOLE lot happier than it did when I started! It's ALWAYS better to do something small, than nothing at all. Like we've said before -- Paint that wall already! 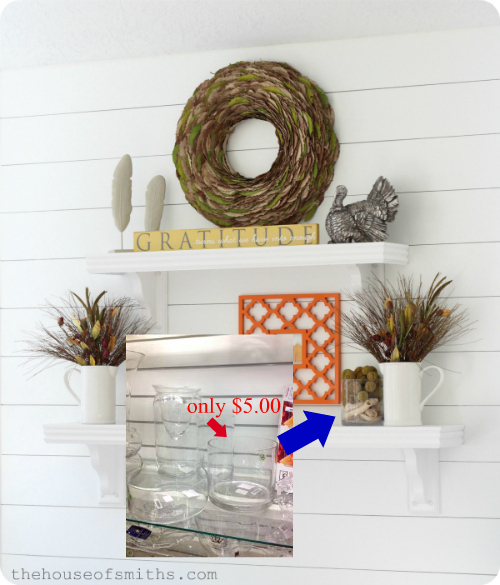 Accent that little space with the wallpaper you've been eyeing online, buy that crazy pillow that doesn't match your WHOLE house (yet) just because you love it and you WISH it "went" with your stuff... just DO SOMETHING to propel yourself towards the style/look/change that you want to see in your home! I promise, you'll be happier. You'll feel more driven to keep going, and after awhile, it won't seem so scary or as overwhelming as it once was. Great post - and you are right - start with something small - it's better than nothing at all! Great tips! We are trying to decorate our new place & it's definitely more managable one room/area at a time. Good article. I am revamping my home out of the 80's! New wallpaper up in dining room and foyer and wallpaper down in bedrooms. I completely finished my dining room, now on to the foyer, only need a rug, then on to the downstairs bathroom. I have inspiration but know it will take time. I am not in a rush! Tackling one thing at a time does help! A woman after my own heart. I recently have been feeling all over the place...starting about 50 things and then finishing maybe a couple. One thing I have started to do is make a list of "To Do" projects, that way I can focus on one or just a few things and then come back to the list once those are done. great tips. I like all the things you found at Home Goods! Absolutely love how you broke down the process into simple steps. It's so much more manageable that way. I'm a licensed designer, and I have to say that you are spot-on in your design process (I totally struggle with the second, third, and fourth thought, too!). 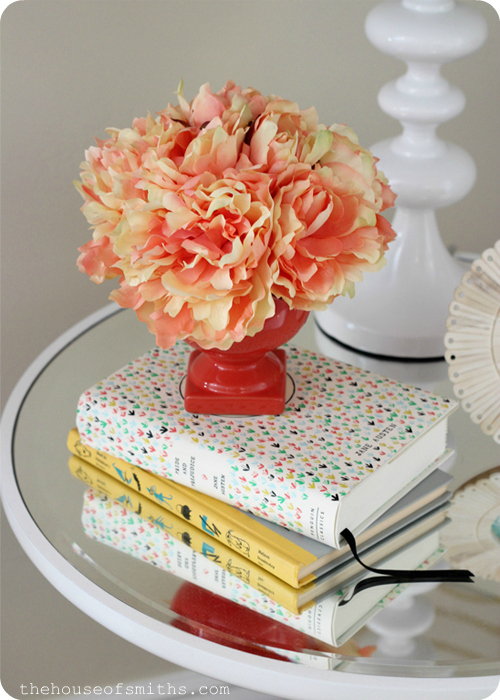 Love your blog - it's always inspiring and entertaining! What a great post! Thanks for all the advice! Great post! I know that our home improvement projects take ages to come to fruition. But once you get started on the big stuff (painting, etc.) then it really starts coming together. 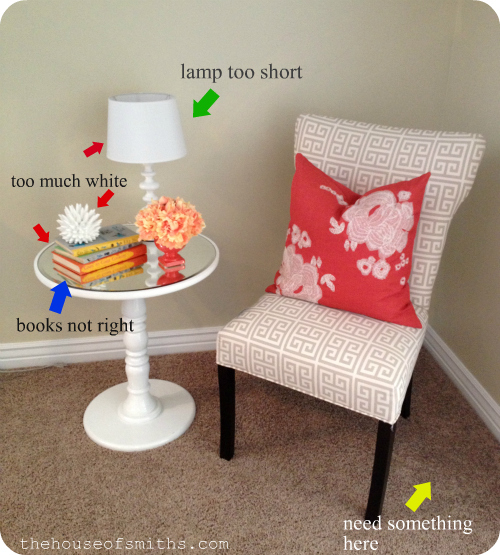 Btw, just bought that exact same yellow/white lamp shade at Target last weekend. LOOOVE it. Love this post. I'm in the midst of changing too many spaces and gets overwhelming, and at times I shut down. This was the kick in the pants I needed to get back on it. Through this Lent season I've discovered that creativity fuels my soul! I get down in a funky depressed mode when I don't have time to create or get on projects. My wonderful hubs and kids notice it. That's where I've been the last 3 days. Thanks for the push to get going again! I've never left a comment. I read your blog and enjoy it! This post is one of my favorites! Great post! No wonder it took you all day to write it up. That was a lot of info and pics! Thanks!!! I just want to say that I love your blog! I look forward to reading your ideas and look at your great style! 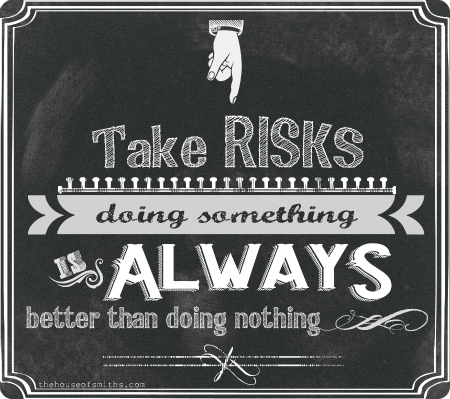 This was a great post and definitely inspires me to "do something"! You should make that chalkboard sign a printable for download! :) No wonder this post took you all day, it's a lot of advice to put into concise words for us , thank you! I like these type of posts. It takes me a minute sometimes to stop my decorating ADD and focus on what I need to do. It's great to reference a 5-step approach. Thanks! I love your design techniques. You create comfy, eye catching, and practical spaces. Very inspiring! Love this post! Such excellent attention to detail! Great job! Thank you so much for sharing & encouraging us!!! This is what makes you so inspirational! I LOVE how you believe in us! I do think you have a special eye for things because when I go into Home Goods it's like sensory overload! I want to buy everything & leave with nothing! Keep sharing your talents with us please! Thank you so much for sharing & encouraging us!!! This is what makes you so inspirational! I LOVE how you believe in us! I do think you have a special eye for things because when I go into Home Goods it's like sensory overload!! I want to buy everything & leave with nothing! Keep sharing your talents with us please!! Good advice! I'm kind of feeling stuck right now but hopefully this will get me motivated to make one small change at a time. Yes, great advice! 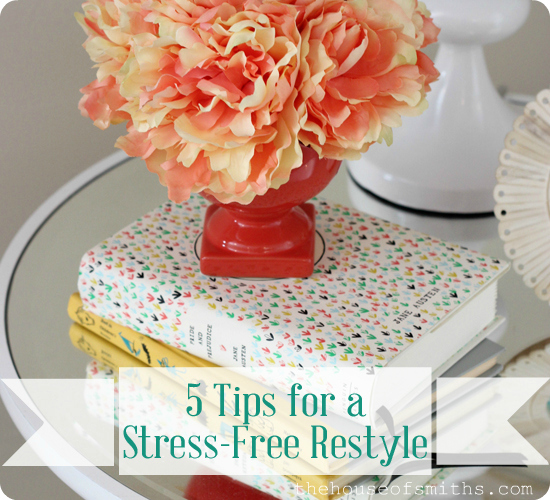 From someone who decorates for living, there is so much decorating paralysis going on. Just do it! All of these interior designs are awesome, though they differ in color, furniture arrangements and area structure.I like it. I just found your blog and wanted to say that I really like it! Great article Shelley! I have to say that you have a great taste in interior design and home improvement. I really enjoyed reading your blog post. Thank you for the tips. Looking forward to reading your next ideas! great tips! i have been looking for a white ceramic pineapple (i know very random! 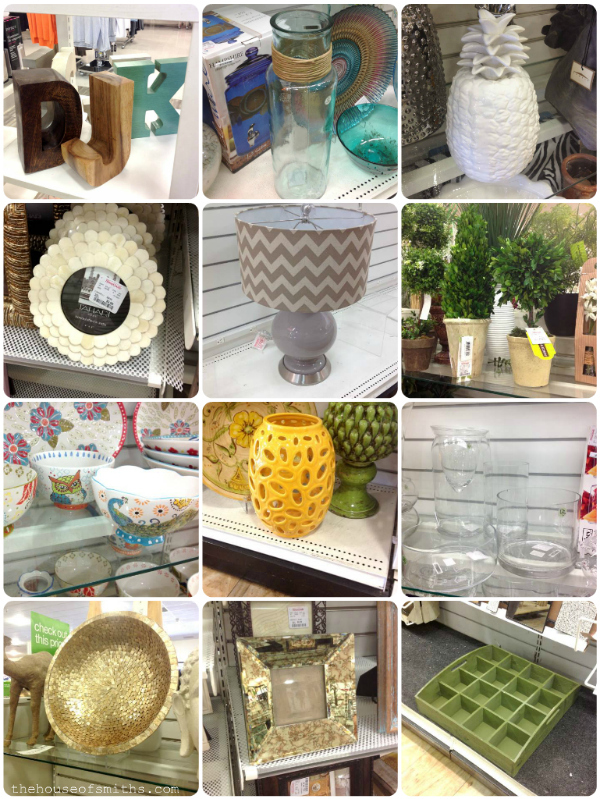 ), is the photo of the pineapple a recent homegoods visit? great post, just catching up! is the white ceramic pineapple from homegoods recent? i have been looking for one for my daughter, we have had a pineapple thing for a few years, and would love to find something just like that for her.